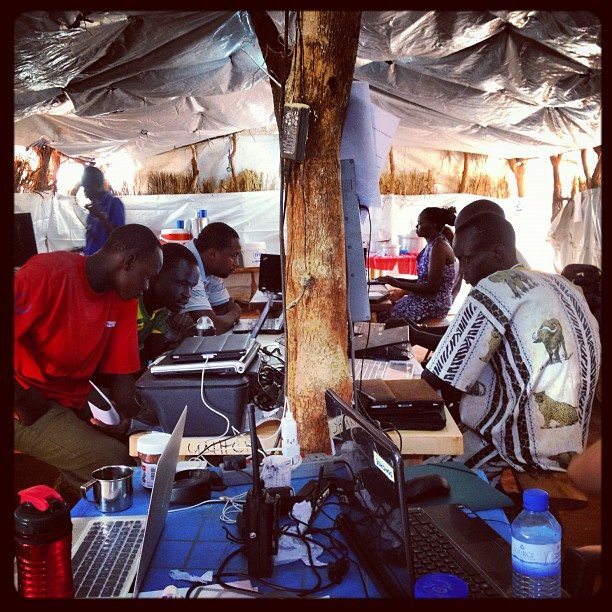 Working hard at the Yida Refugee Camp; here is a glimpse into the UN Refugee Agency Office in South Sudan. Photo posted by @Refugees. 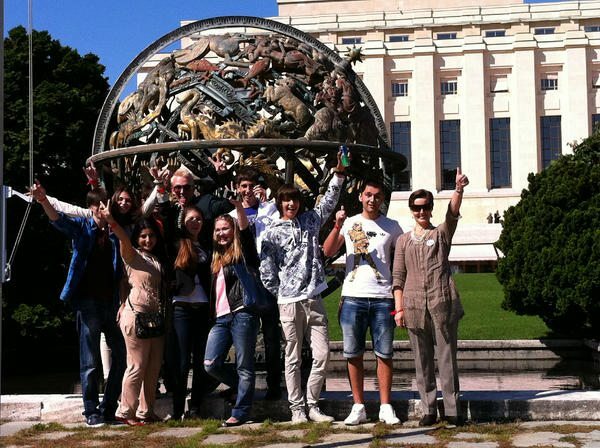 Celebrating last week’s Open Day at the UN Office in Geneva, visitors pose in front of the Celestial Sphere monument in Ariana Park to receive a souvenir photo. Photo posted by @unisgeneva. 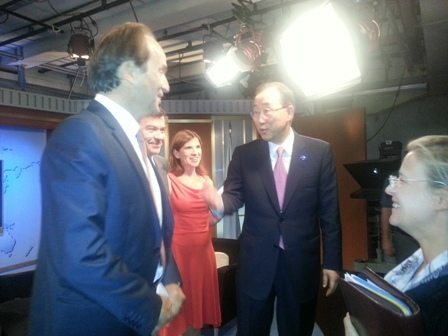 Behind-the-scenes photos from Secretary General Ban Ki-moon’s interview on the TV5 Monde news progamme called Internationales on which he described the ongoing crises in Syria, Democratic Republic of Congo, Somalia, Iran, Mali as well as Myanmar. The full video can be viewed here. The International Atomic Energy Agency’s General Conference recently met in Vienna to consider and approve the Agency’s programme and budget and to decide on other matters brought before it by the Board of Governors, the Director General, or Member States. Photo posted by @iaeaorg. Carrying food is not an easy task! In this photo, men carry 90kg of maize. 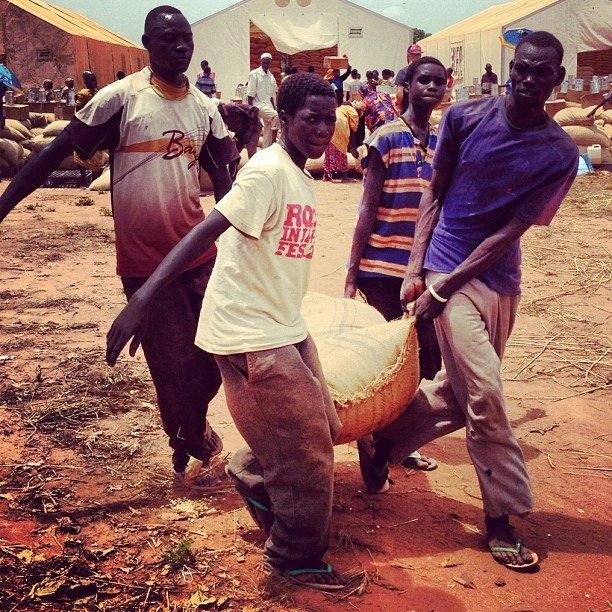 The UN Refugee Agency is helping organize food transport at the Yida Refugee Camp. Photo posted by @KathrynUNHCR. 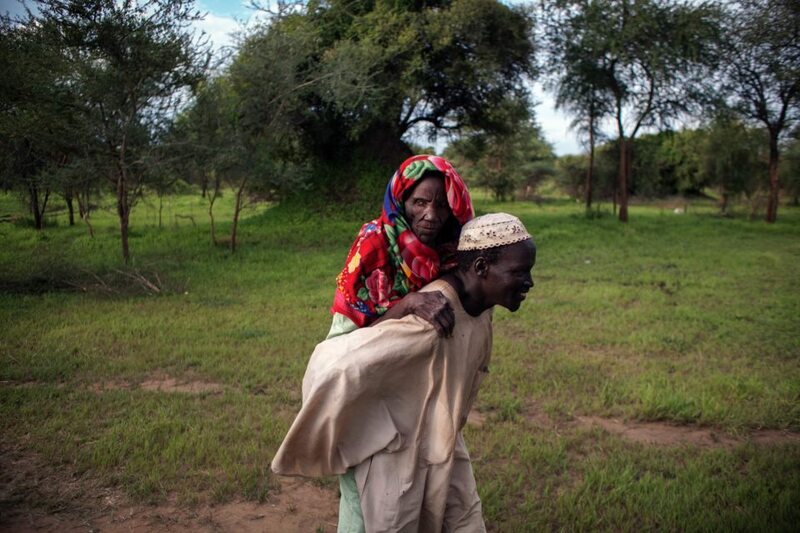 When fighting erupted last year in Sudan’s Blue Nile state, this man fled with his family, carrying his 80-year-old mother, who was too frail to make the journey by foot, for 15 days until they safely crossed the border into South Sudan. Photo originally posted on the UNHCR Facebook page. In honour of Friday’s International Day of Peace, watch this music video called “Mr. Peace” created by the Dadaab Allstars in Kenya. Originally posted by @Refugees. 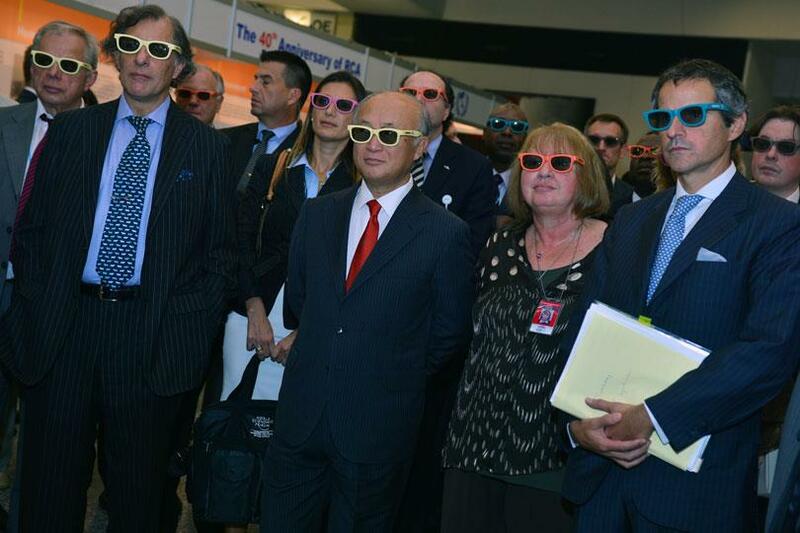 International Atomic Energy Agency Director General Yukiya Amano and other watched a 3D presentation organized by the Argentinian delegation in Vienna. Photo originally shared on the IAEA Facebook page. 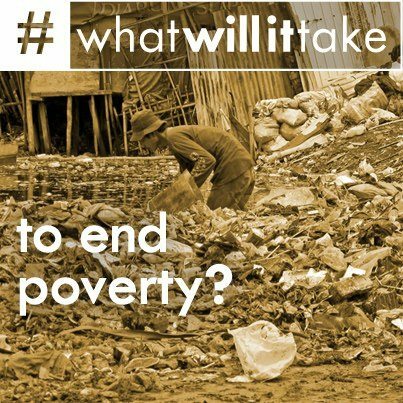 The World Bank launched a new campaign this week asking “What will it take to end poverty?” Tell them in the comments and on Twitter with the hashtag #ittakes. 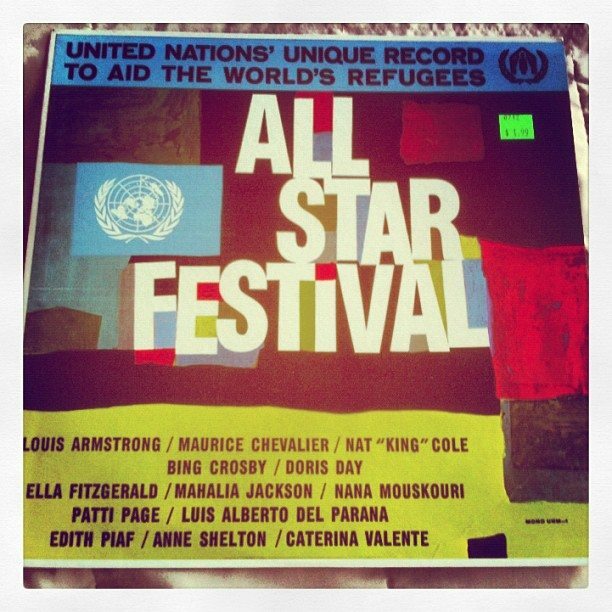 A bit of history — @krispsko bought this 1963 all star album created to aid UN Refugees — image retweeted by @Refugees. 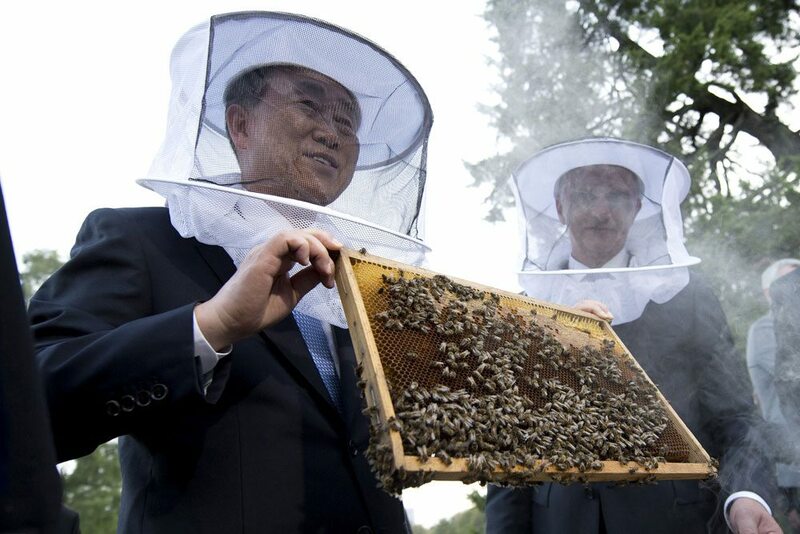 Secretary-General Ban Ki-moon and Didier Burkhalter, Federal Councillor and Head of the Swiss Federal Department of Foreign Affairs, donned beekeeping gear during a tour of the Swiss Apiary in Geneva’s Ariana Park on the occasion of 85th Anniversary of the endowment of the League of Nations. Photo posted by Jean-Marc Ferr. 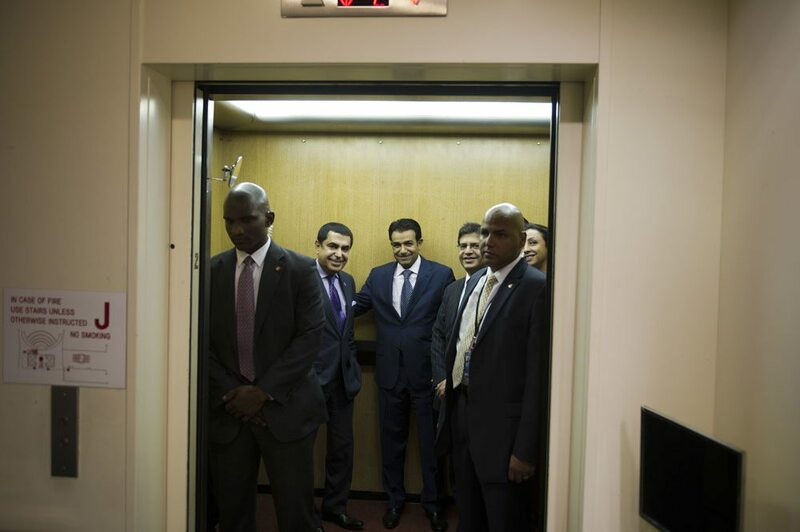 Behind-the-scenes photo taken after the closing of the 66th session of the General Assembly of outgoing General Assembly President Nassir Abdulaziz Al-Nasser (Qatar) leave via the elevator. Photo from @UN_Photo. Did you miss the World Food Programme’s Google+ Hangout earlier this week on the Humanitarian situation in Syria? Watch the archive video above. 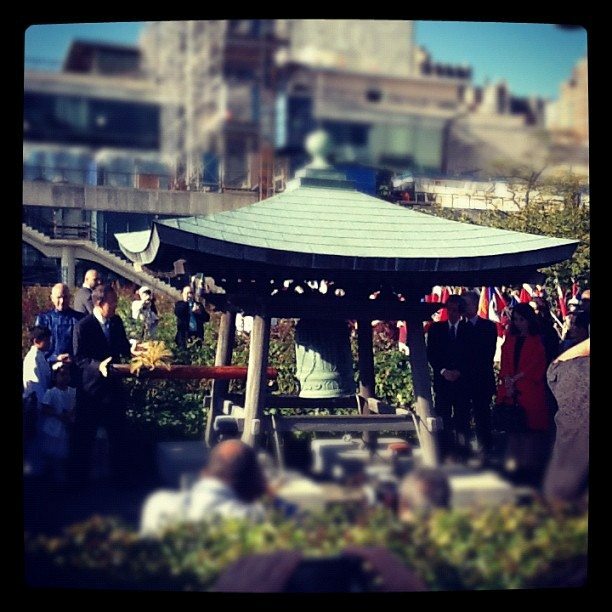 Ban Ki-moon rang the Peace Bell at NYC Headquarters on Friday’s International Day of Peace. Students and celebrities joined in the morning ceremony. Related story from the UN News Centre. Liberian students taking part in an International Day of Peace teleconference wave to participants online in South Sudan and New York. 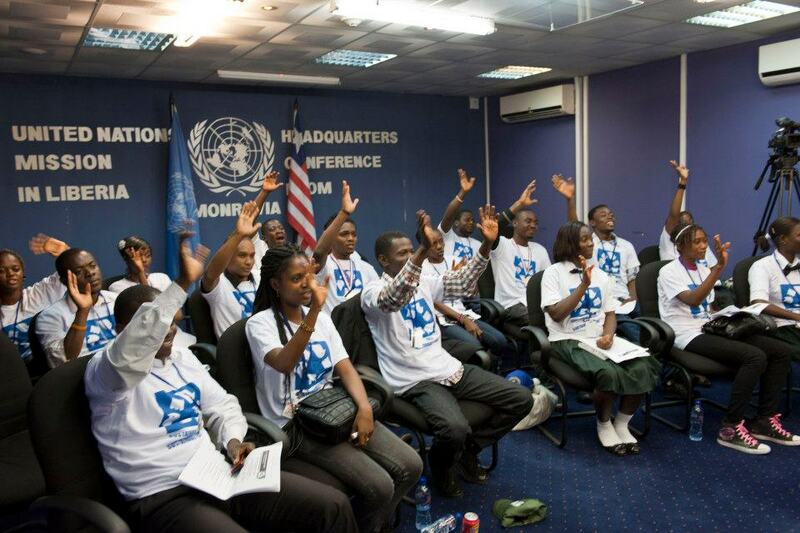 Photo posted on the United Nations Mission in Liberia Facebook account. 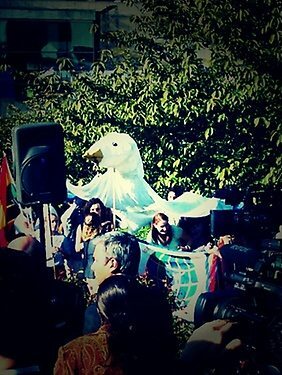 Scene from the International Day of Peace peace bell ceremony that took place in New York City. Photo posted by our social media team intern @J0e_m. In this video, UN Messenger of Peace Goodall says we won’t know real peace until we’ve restored our relationship with the natural world. Ms. Goodall attended International Day of Peace events in NYC this week.